Thinking of someone? 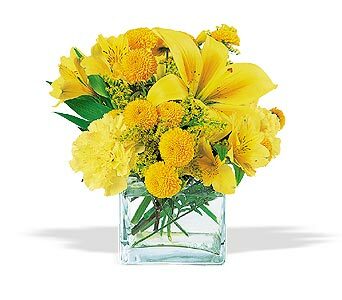 Let them know they\'re on your mind with this lovely arrangement of yellow blooms. Bright yellow alstroemeria, carnations and chrysanthemums arrive in a square glass vase. Page loaded in 0.508 seconds.